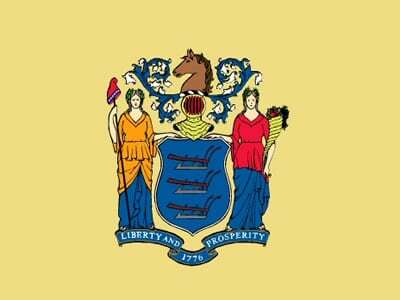 The state of New Jersey has been attempting to bring new life and revenue into its horse racing industry, as well as Atlantic City by allowing sports betting within the state. However, this attempt is butting heads with some heavyweights, including the NCAA, NHL, MLB, and the NFL. All of these professional sports organizations sued on the basis that allowing sports betting in certain sports violates a 1992 federal ban on sports betting, called the Professional and Amateur Sports Protection Act (PASPA). They claim a move like this would potentially hurt the integrity of the games they play. In 2013, a Third Circuit panel and a judge agreed with the aforementioned leagues. To get around this, New Jersey claimed that this federal ban does not include private tracks and casinos from allowing sports betting to occur, as long as the state is not responsible for regulating it. To the disappointment of many, another federal judge put the brakes on this plan in November of 2014. He specifically stated that New Jersey could not use “clever drafting” in order to make the federal law work for their own interests. On August 25, 2015 this agenda suffered yet another setback when a U.S. Third Circuit Court of Appeals three-judge panel rejected the plan. Pushing this case has already cost the taxpayers of New Jersey legal fees to the tune of millions of dollars over the course of the four year battle. Though state officials say that sports betting would bring in tens of millions of dollars in revenue, more than making up for the loss. This leaves many New Jersey residents for and against the plan wondering what is next. Although state officials cannot technically appeal the latest legal decision, they can formally request for a review. This review, known as an “en banc” review, would require all 23 judges within the circuit to rehear the case. As of yet, Gov. Chris Christie has not officially said if they will ask for the review. It is, however, expected that the state of New Jersey and the New Jersey Horse Racing Association will request the review. They face a two-week deadline to file for a review. New Jersey stands a chance of receiving the review, according to many attorneys. However, legal scholars say these types of reviews rarely happen. Interestingly, the only judge who voted for betting in New Jersey in August was the same one who in 2013 voted down the measure. He believes there is no way the PAPSA can be deciphered in a manner that would preclude New Jersey from certain sports betting practices. Even if the en banc review is refused, New Jersey could still file a petition with the U.S. Supreme Court and request that they hear the case. On the flip side, only about one percent of all petitions to the Supreme Court are granted. In fact, an earlier request by the state of New Jersey on this very case was denied in 2013. Attorneys say this petition would be the last minute play for sports betting in New Jersey. Many people all over the United States have been carefully watching this case for its outcome. Many states, such as Texas, South Carolina, New York, Indiana, and Minnesota have introduced congressional bills this year in an attempt to legalize sports betting. Other people believe the best route is to lobby Congress to vote on repealing or altering the federal ban. Another interesting fact within the case is that NBA Commissioner, Adam Silver, wants sports betting legalized. However, he agrees that the best way to go about legalizing it is to go directly through Congress. The National Conference of Legislatures recently gave official nod to asking Congress to let states have their own sovereignty to decide whether or not they will allow sports betting. Chances of this happening are believed to be slim, but many are still holding out hope. For now, we sit and wait to see what happens with other states who are pushing for their own sports betting, as well as what the state of New Jersey will do. However, things shake out in the end, this is bound to be a monumental decision for many.